The CCTV footage obtained from the hostel premises was also being analysed. Raipur: The authorities here have ordered an inquiry into a recent incident, in which security personnel allegedly molested the girl students of a state-run residential school during a cultural programme held ahead of Raksha Bandhan in Chhattisgarh's Dantewada district. The district administration has constituted a five-member panel to look into the allegation and the police too have launched a probe after lodging a case in this regard. 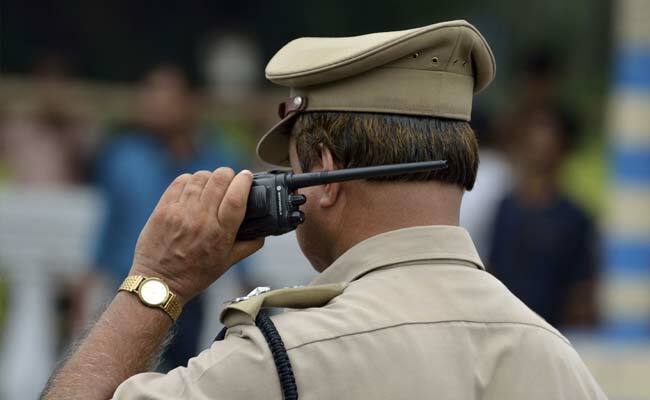 The incident allegedly took place on July 31, when a Raksha Bandhan programme was organised by the CRPF troopers at a residential school in Palnar village under Kuakonda police station, Dantewada Collector Saurabh Kumar told PTI. The paramilitary force, deployed to counter Left-Wing Extremism in the area, has been organising such events at Palnar for the last nine years. Nearly 500 girls took part in the July 31 event, to be telecast on the local news channels, and tied rakhi to the CRPF personnel, said Mr Kumar. "On August 1, we received a complaint from the hostel warden that three girls were searched by the security personnel on the pretext of frisking, which should not be done with kids," he added. The collector said on August 2, he went to the hostel, along with the Dantewada Superintendent of Police (SP) and local CRPF Deputy Inspector General, and spoke to the girls in the presence of women officials, including the warden. "The girls said they were physically searched by the men in uniform when they were returning from the toilet," he said. Mr Kumar added that according to the girls, one securityman physically searched them while another kept watching the act. "Based on their statements, a five-member committee, headed by the Dantewada zila panchayat chief executive officer, was formed to probe the matter," he said. The other members of the panel are the Dantewada additional superintendent of police (ASP), sub-divisional magistrate (SDM), district education officer (DEO) and tehsildar. Subsequently, an FIR was lodged against the two unidentified security personnel under the Protection of Children from Sexual Offences (POCSO) Act at the Kuakonda police station, said Mr Kumar. The CCTV footage obtained from the hostel premises was also being analysed, he added. "We are in constant touch with the CRPF, which is also investigating the matter at its level, and trying our best to identify the accused, so that the harshest punishment can be meted out to them," said the collector. Meanwhile, Aam Aadmi Party (AAP) leader Soni Sori accused the authorities of "trying to cover up" the issue. "I was not allowed to meet the students when I went to the hostel. I spoke to the girls from the nearby villages, who study in the school. They told me that the incident had indeed taken place. Some security personnel followed the girls to the toilet, where they molested them," she alleged.